In a world dominated by post-PC technologies, it is our goal to help Brands, Startups and Organizations be competitive in a digital age. We strategically architect, design, develop and market digital solutions for smartphones, tablets, wearables, connected devices and connected vehicles. We're excited to partner with WebDMG, a digital design agency that specializes in iOS applications, to bring solid, functional apps for your business. From concept, to design and function, we develop dynamic mobile apps that suit the needs of your growing Brand. 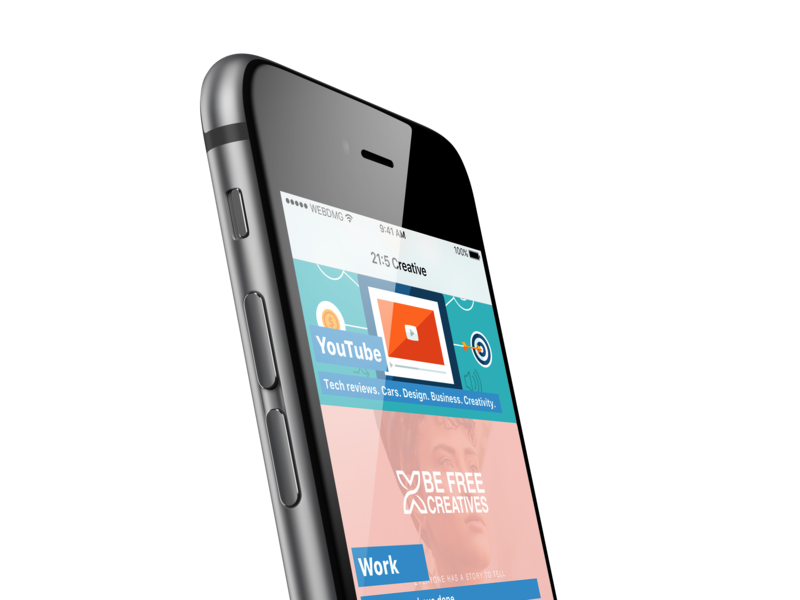 Our apps are capable of providing content (video, music, podcasts) and linking to social media, just to name a few. It makes no sense to have a great app and no one knows about it! We develop lean marketing strategies to help promote your app to drive both short and long-term value to you and your business or organization. We've partnered with a powerful app dev agency, WebDMG, to monitor and maintain your app, so that you can rest assured knowing that your invest is well taken care of and always working for you and your customers. Copyright © 2018 21five Creative, LLC.